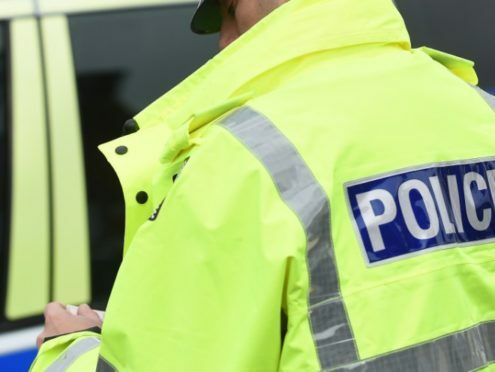 Iain Mortimer, 72, is said to have failed to keep an eye on the road ahead, before crashing his Mercedes E-class into an articulated lorry parked in a lay-by beside the A9 dual carriageway in Perthshire. Both men were worshippers at Kirkhill Parish Church, where Mortimer used to edit the church newsletter. At an initial hearing at Stirling Sheriff Court, lawyers for Mortimer, of Beauly, Inverness-shire, wrote on their client’s behalf tendering no plea to causing Mr Bowden’s death by careless driving. The single charge against him alleges that, on the dual carriageway between Perth and Stirling near the junction for Upper Whitestone Farm, Mortimer caused Mr Bowden’s death by driving his Mercedes without due care and attention. It continues: “(It was also without) reasonable consideration for other persons using the road, and did “fail to maintain observation of the carriageway ahead. “(It did) fail to observe a heavy goods vehicle, then a stationary vehicle parked in a layby, and (did) fail to maintain control” of his vehicle, causing it to collide with the rear of the HGV and cause it “to be projected across the carriageway” and to strike the Astra, then being driven by a Charisse Zameer. It is alleged all three vehicles, including the lorry, were damaged and Mr Bowden was “so severely injured that he died”. In their letter to the court, Mortimer’s lawyers requested the summary charge against their client should be continued without plea. Mortimer was not personally present. The case was continued until April 5. The accident, on the southbound side of the dual-carriageway trunk route, occurred just before 1pm on June 12 last year. Trauma teams, paramedics, firemen and an air ambulance scrambled to the scene, and the southbound carriageway was closed for several hours in the aftermath of the fatality. According to Companies House, Mortimer was company secretary to a total of five investment or property firms before resigning from all his appointments in 2009.